07 December 2018 (Toronto,ON) - In what has been a full-tilt year for this young rock’n’roll band from Frankenmuth, Michigan, Greta Van Fleet sees 2018 capped off with its first ever Grammy Award nominations: Best New Artist, Best Rock Song for “Black Smoke Rising," Best Rock Performance for "Highway Tune," and Best Rock Album for the band’s double EP, From The Fires (Lava Records/Republic Records/Universal Music Canada, the country's leading ). To share this honor and as a way to say thank you to their fans, $1 from every ticket to the band’s upcoming three, sold-out shows at the Fox Theatre in Detroit (December 27, 29, 30) will be donated to the Children's Hospital of Michigan Foundation on behalf of The Peaceful Army. From The Fires claimed the #1 spot on Billboard’s Top Hard Rock Albums chart in November, 2017, and includes the band’s break-out single, “Highway Tune” that spent five consecutive weeks at #1 on Billboard’s Mainstream Rock chart, and “Black Smoke Rising” with nearly 24-million streams. 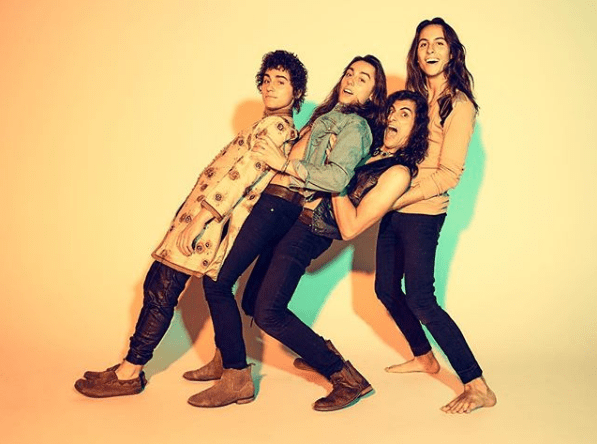 Greta Van Fleet - twin brothers Josh (vocals) and Jake Kiszka (guitar), both 22, younger brother Sam (bass/keys, 19), and longtime family friend Danny Wagner (drums, 19) - made their national debut on March 31, 2017 with the release of the “Highway Tune” music video. Since then, the band has been on a wild ride of sold-out concerts throughout North America and Europe, racked up tens of millions of YouTube video plays and audio streams, received glowing accolades from iconic artists like Elton John, Dave Grohl and Joe Satriani, and recorded two #1 EPs. They were named one of Rolling Stone’s “10 Artists You Need to Know,” and performed with Elton John at his annual Academy Awards viewing party. The band's debut album Anthem of the Peaceful Army (10-19-18), debuted at #1 on Billboard's Top Album Sales and Top Rock Albums charts, and at #3 on the Billboard 200 chart. Greta Van Fleet’s music is a high-energy hybtrid of rock’n’roll, blues and soul, loaded with attitude, bravado, killer musical chops and a singer whose voice will drop your jaw. Greta Van Fleet’s shared message with their music is to spread peace, love and unity.